These articles are reproduced courtesy of the varying newspapers/organisations accredited with each extract. 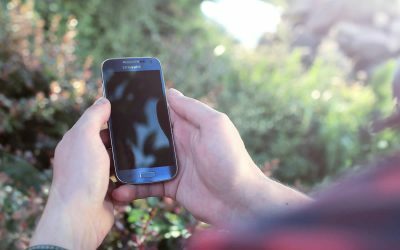 A life-saving smartphone app designed by ECU students has won the Tertiary Student Category at the 2012 iAwards, the premier technology awards for the ICT industry in Australia. 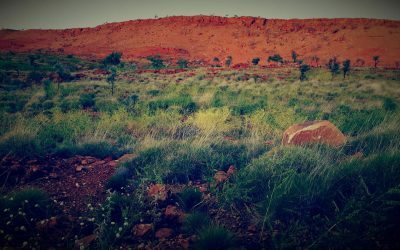 OUTBACK SURVIVAL is a timeless practical run down on everything you need to know to survive in the outback. 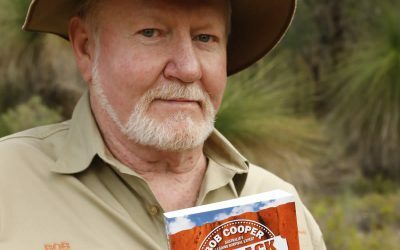 Bob Cooper’s incredible bushcraft skills have been developed through more than 25 years of experience in the outback. 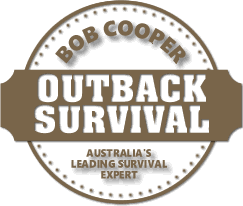 Bob Cooper has been teaching travellers survival skills for more than 25 years. 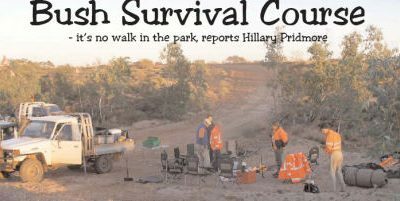 And the WA-based expert has poured a lifetime of bush knowledge into his book, Outback Survival. 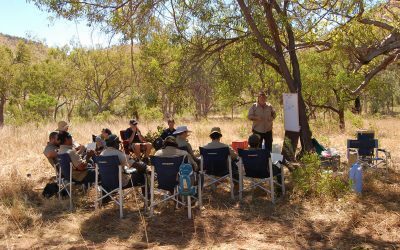 A bush survival instructor says he’s doing more training with exploration and mining teams than ever before. 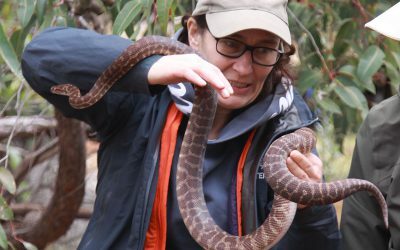 70 per cent of people who get lost in the bush are Australians, not foreign tourists, and that’s because as a country we’ve lost the self reliance for which we were once renowned. 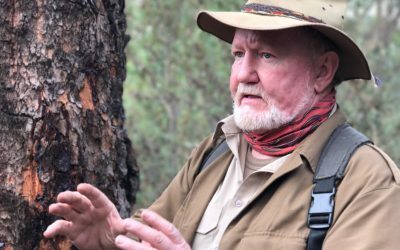 Outback survival teacher Bob Cooper runs survival, snake handling, tracking and tool making courses from his base just outside Perth He believes five simple tips could have saved the lives of the 53 people who have become stranded and died in remote WA during the past 25 years. 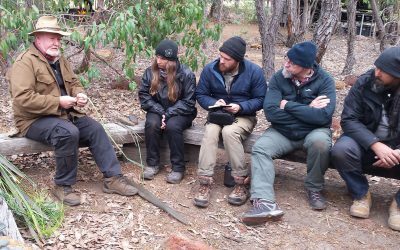 Over the weekend of May 8 – 10 most of Telfer’s exploration team (apart from a couple left behind to man the fort), participated in a Basic Outback Survival Course conducted by world-renowned expert Bob Cooper. 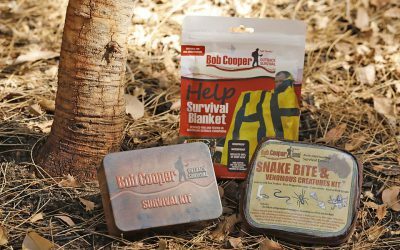 When it comes to survival, Bob Cooper is your man. He’s honed his bushcraft skills for more than 25 years and even instructed specialist military units on desert survival. Need more proof? 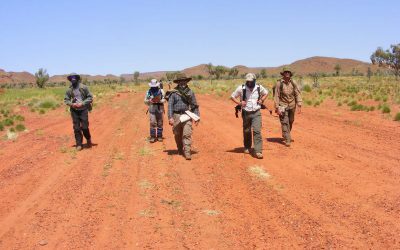 He survived 10 days in the middle of the West Australian outback, walking 160 kilometres in scorching weather with only a map and a soap-sized survival kit. 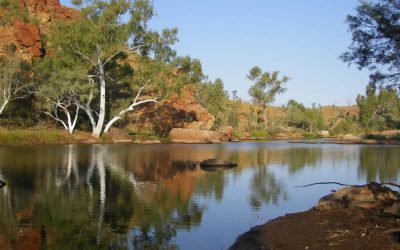 Western Australia is a vast state with a natural beauty that encourages people to head off the beaten track. However, before heading off there is one item everyone needs, a complete bush survival kit.